The Latest in Celebrity News, Red Carpet Moments, Viral Videos and Breaking Celeb Rumors! 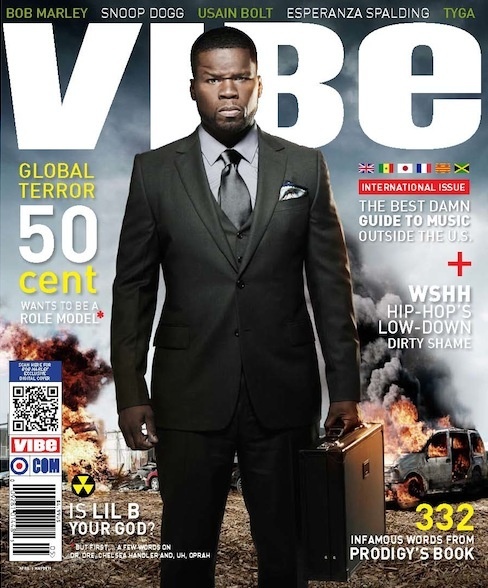 : 50 CENT COVERS VIBE MAGAZINE! 50 CENT COVERS VIBE MAGAZINE! 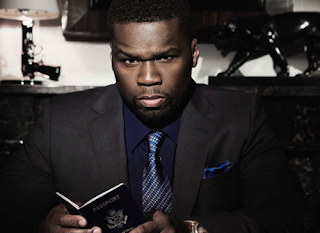 Do you think Dr. Dre really cares about your headphone line competing with his? I have a strong personality, a strong character. And I can be difficult to deal with at certain points because I’m vocal. If you upset Em, he’s just gonna not talk to you. You’re not going to get him in the next room you wanna get him in. With Dre, the same. He’s not comfortable with friction. That [tweet] is, “Hey look, I’m here. Is everybody still paying attention?” So they go, “Why he say that? Why he say we mad?” Then the meeting happens. Why should [Drake] have won [a Grammy award] this year? I didn’t get it the year I was supposed to get it, for different reasons. I think the board is not young. They’re not hip. [In my case it was] just the choices to write the harsh reality. I point to that. Now you’re dealing with the reality of Hollywood. You shed 54 pounds for your latest role. Why? Things Fall Apart is a passion project for me. I disciplined myself physically more than I had up to this point. Samuel Jackson said you rappers shouldn’t be taking all the movie roles. Well, yeah. He said something about me earlier. I was a fan of him before and after he said it. You understand, if you are that passionate... That person has disciplined himself and trained himself. Are you feeling his vibe on the cover?